This article is 585 days old. A day with her daughters turned into a celebration for Laurie McLachlan of Windsor, who won the top prize of $100,000 with Instant Queen Of Hearts. 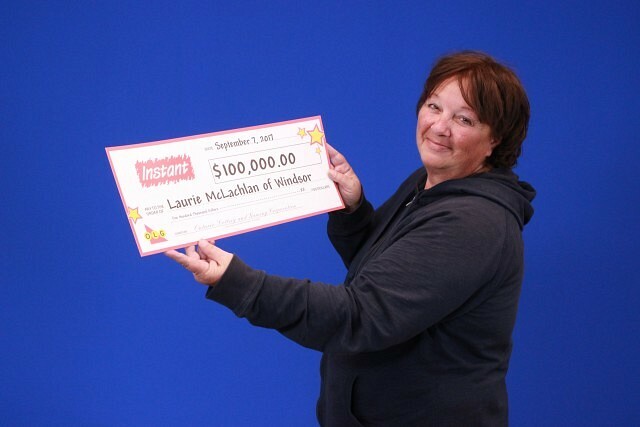 A regular player and previous two-time INSTANT winner, Laurie was on her way home from a day out when she decided to stop in at her local retailer to cash in a few tickets. After winning small prizes on those tickets, Laurie purchased a few more. The winning ticket was purchased Tourangeau Mini Mart on Tourangeau Road in Windsor.